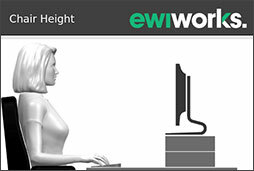 Everyday at EWI Works, we see discomfort and injury resulting from poorly adjusted workstations. 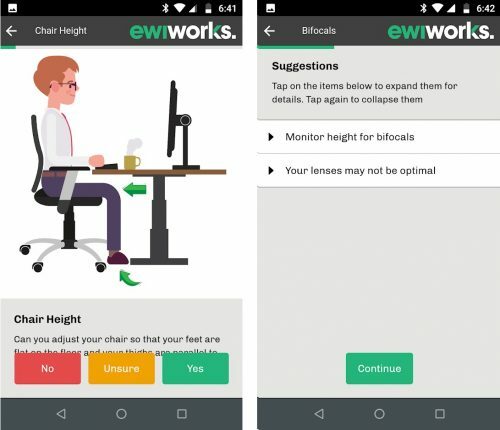 This discomfort is totally preventable with the right setup. Developed in collaboration with a team of highly trained professional certified ergonomists, ErgoOffice is intended to make basic ergonomic know-how accessible to everyone in a convenient, affordable, and easy-to-understand format. 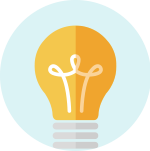 Discomfort at your desk is most commonly associated with a poorly adjusted workstation, but not everyone lives in a location with easy access to an ergonomist. 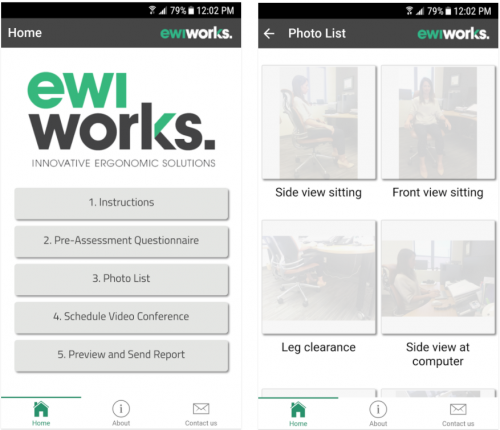 Recognizing this, EWI Works developed ErgoConnect to offer remote ergonomic assessments (also known as telehealth ergonomics) to anyone, right at their workstation, regardless of where it is! 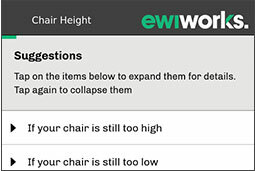 We are continuously working on developing more apps to improve ergonomics through the use of technology. Check this page regularly or subscribe to our newsletter and we will keep you posted as soon as they are out!